I used my leftover produce in conventional dishes like salads and stews, I also explored some more adventurous methods to incorporate my 8.5 lbs of fresh vegetable into my cooking. Needless to say I produced some fibre-packed and brightly colourful meals, some of which I’ll share with you below. 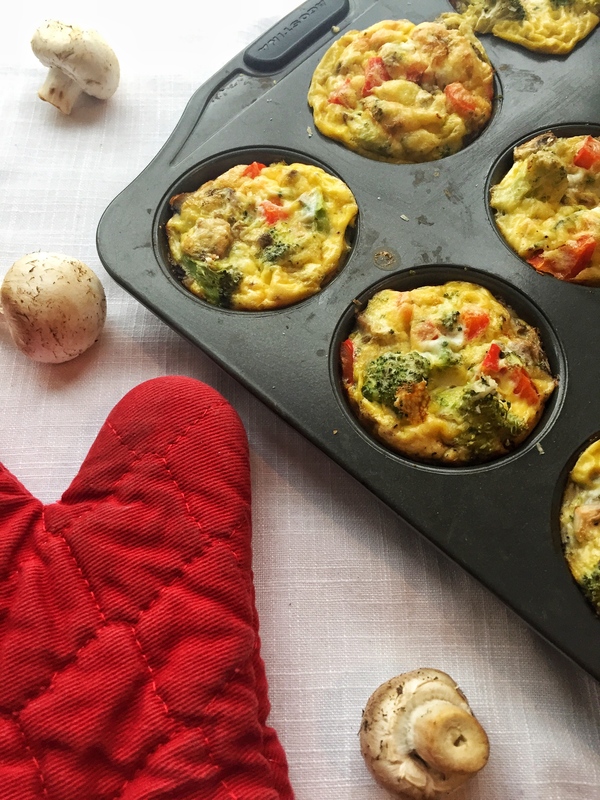 Knowing that I had a busy week ahead of me I decided to use the mushrooms, peppers and some extra broccoli in creating the easiest breakfast make-ahead: egg muffin cups. I sprayed a muffin-tin with vegetable oil before adding in my chopped veg and pouring over a mixture of whisked eggs and a little milk. I topped each muffin with some cheese and baked in a 350ºF oven for 25 minutes. I quickly ate a fluffy muffin and froze the rest in a freezer-safe sealable bag. To reheat, just pop in a microwave for 30 seconds! Warning: use an oil-spray, silicone muffin tray or baking cups for this recipe - cooked eggs on tin is torture to clean off! A great way to use the cucumber is by making a quick pickle. I started by slicing the cucumber thinly (you can do it by hand or via a mandolin), and then whisked together rice wine vinegar with a bit of salt and sugar. Placing my cucumber rounds into a sealable container I then poured the vinegar mixture over, ensuring the top slices were covered, and let the container sit in my fridge for at least 30 minutes. 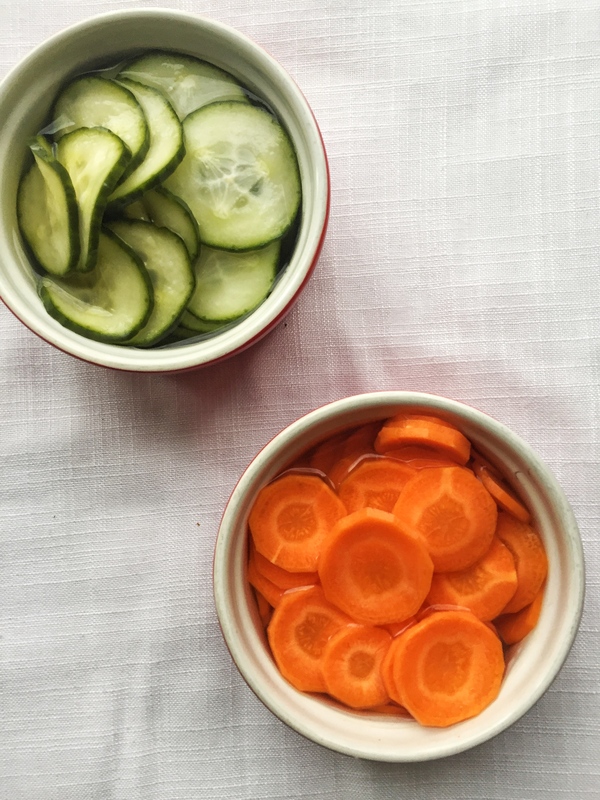 Even after a short period in the vinegar mixture the cucumber (and carrot) developed such a nice tang while retaining their classic crunch. I plan to use these quick pickled goodies in veggie sandwiches and wraps over the next few days. With the extra-large tomatoes provided in the Ugly Produce Box this week I just knew that I had to make a basic tomato sauce. The old-school method uses any kind of tomato and is easily doable for a beginner cook. I started by adding my whole tomatoes to a pot of boiling water, and then fishing them out after 1 minute and plunging them into a bowl of ice-water. I then peeled the tomatoes by hand (the skins practically fell off after boiling) and then chopped them up before adding them to a large stock pot. I set the stovetop for medium-low and let my tomato mix simmer away for 90 minutes. That’s it! I left the sauce completely bland (not even salt was added) so that I could season it precisely for each dish I used it in. The best part about this sauce is that it is the perfect base for pasta sauce, pizza sauce, or even a sauce for your vegetables - it’s up to you! 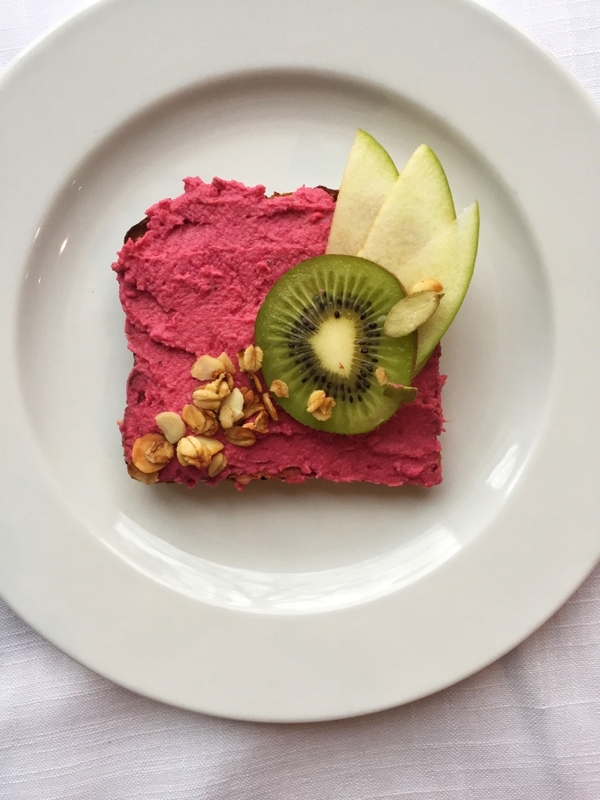 Beets are one of those vegetables that I find a bit difficult to work with, that is until I encountered the Instagram-worthy side of beetroot hummus. After washing, scrubbing and drying one small beetroot, I wrapped the entire vegetable in a layer of tinfoil (along with some oil and salt) and popped my little tinfoil-beet-ball into a 375ºF oven for a full hour. Once completely cooled, I peeled it by hand and chopped it into quarters before adding it to my food processor alongside the regular ingredients for hummus. After blending I was so delighted by the bright pink colour that I immediately popped a slice of bread in the toaster and eagerly awaited to spread my colourful creation on a crunchy piece of toast. 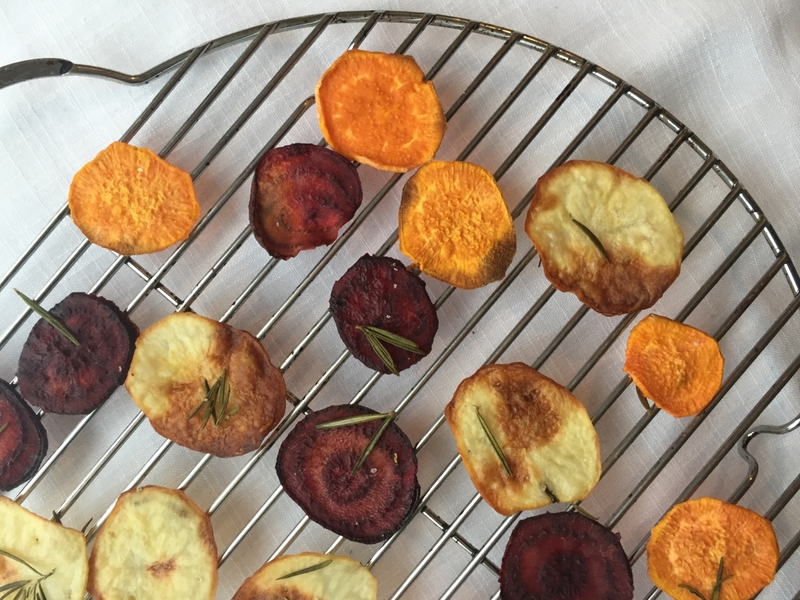 Using a very similar method to oven-roasting vegetables, I embarked on making baked beet and potato chips one evening with family. Using a mandolin, I thinly sliced my root veg (including some extra sweet potato I had), and drizzled the razor-thin slices with olive oil, and a sprinkling of salt and fresh rosemary. I then evenly spaced the slices on a parchment-lined tray and popped into the oven for 20 minutes. After 15 minutes I carefully kept watch, as these slices can be quick to burn. But my patience and attentiveness was rewarded with crunchy fragrant chips! Be warned: if you don’t have a mandolin, or Masterchef knife skills, skip this recipe. A veggie pizza was the perfect way to use my excess mushrooms, onions and pointed peppers in this week’s Ugly Produce Box. 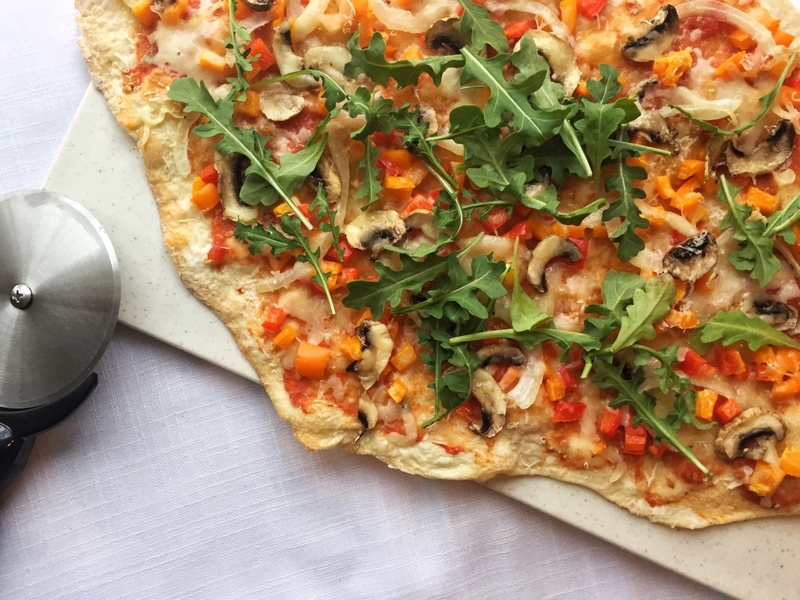 By making my own homemade dough (hence why this is categorized under the adventurous section), I ended up with the perfectly crispy crust to complement these fresh vegetables. I pre-baked my dough in a 375ºF oven for 10 minutes while I chopped my peppers, sliced my onions and mushrooms and grated the parmesan. Using the tomato sauce I made earlier (see above), I added garlic, salt and pepper, and oregano to create a simple base. After layering everything up, I baked the pizza for 15 minutes and was left with a crunchy and satisfying lunch. Did you make something with your Flashfoodbox ingredients? Show us! Tag us on Instagram @Flashfoodinc.